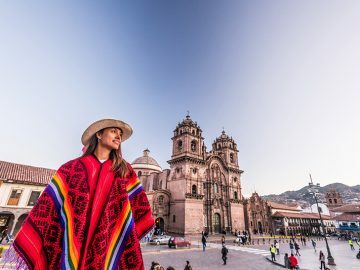 We all dream of slipping away for extended river trips — those languid excursions where days give way to weeks, inboxes don’t exist and we are free to sync up with the rhythms of life on the river. But let’s be honest: life doesn’t just readily offer up that kind of time to most people. Between work schedules, family obligations and day-to-day responsibilities, it’s hard to carve out long periods for extended river trips. 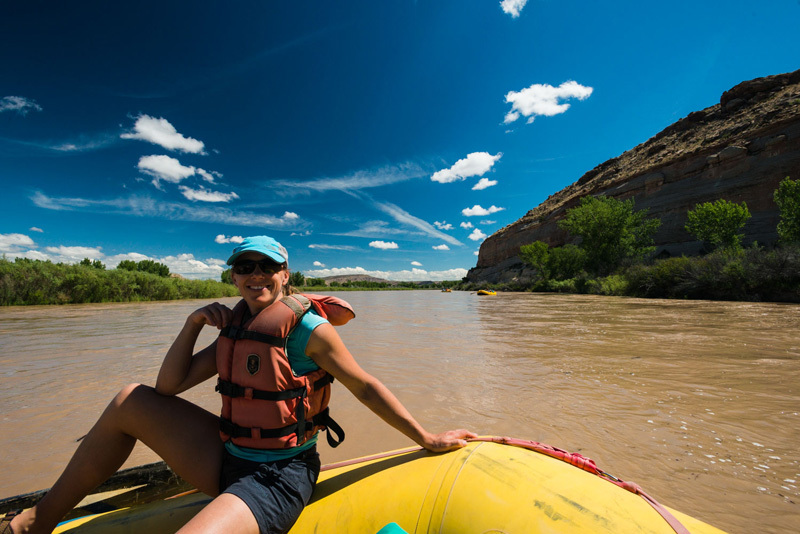 Luckily, you don’t have to ask your boss for a huge amount of time off to reap the benefits of a river trip. 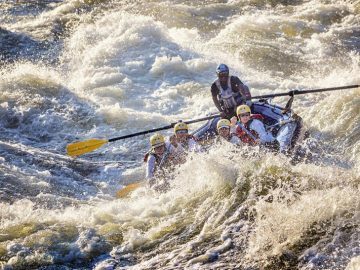 The West is peppered with short sections of rivers that can be floated in overnight trips or long weekends, offering the chance for meaningful escape without sacrificing the best parts of river trips: the thrilling rapids, gorgeous landscapes and connections to wilderness they offer. So next time, instead of discounting that river getaway out of hand, rethink it and go small. Because we could all benefit from a long weekend of whitewater. 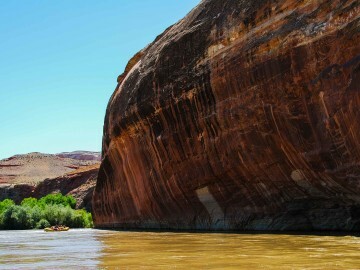 Here are seven of the West’s best rafting trips for weekend warriors, all of which can be floated in two to three days. Westwater Canyon in northeast Utah, a precipitous gorge of granite and schist carved by the Colorado River, is only 17 miles long, but it packs in all the best elements of an adventurous desert river trip: beachy campsites, ancient geologic formations and gnashing Class III and IV rapids that will get your heart clanging — including Sock-It-To-Me, Room of Doom and the infamous Skull Rapid. 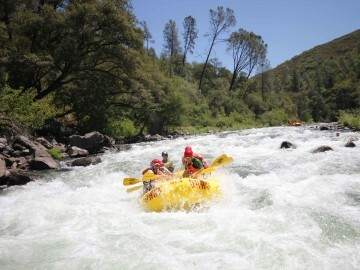 This makes a great trip for thrill seekers who like big water but have little time. 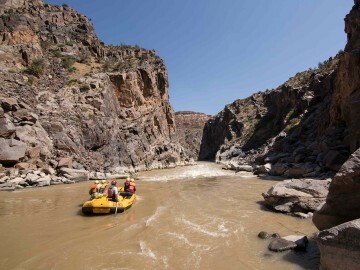 Tucked out of sight between agricultural towns on Colorado’s Western Slope, the Gunnison Gorge is a remarkable geologic marvel, prime fishing destination and beautiful whitewater playground ideal for a weekend trip. The 14-mile descent into this gorge offers a trip back in time as streaked walls of Zoroaster Granite and Vishnu Schist soar overhead and lizards scurry below foot. Campsites are spacious, stars are out of this world and the narrow gorge’s technical whitewater will keep you on your toes. 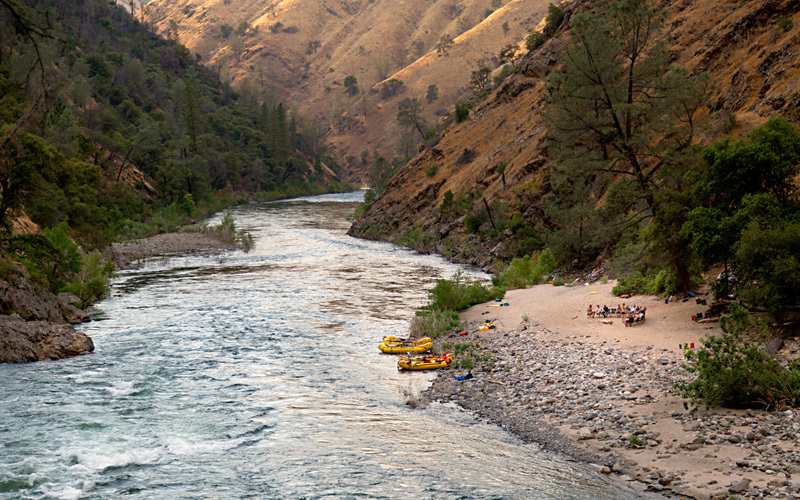 The Wild and Scenic Toulumne River spills out of California’s Yosemite National Park and into a secluded canyon for 18 river miles filled with roaring boulder gardens, serene swimming holes and side hikes to lush waterfalls. 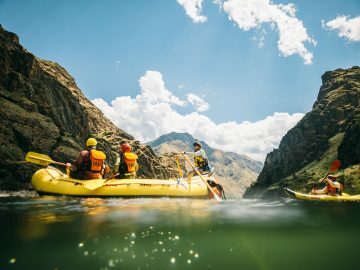 Between gripping sections of technical whitewater and the beauty of the mountain landscape, it’s an incredible immersion into one of the Sierra Nevada’s best waterways. The Lower Middle Fork of the Flathead River traces the southern border of Glacier National Park, and as such, offers a watery passage through the lush forests, sprawling valleys and hulking peaks of the Northern Rockies. 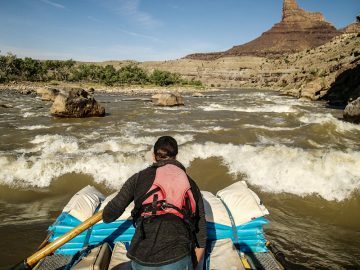 With clear-green waters, pebbly beaches, stellar angling and Class II to III rapids, river segments through this corridor offer awesome quick excursions into Montana’s iconic wilderness. Winding through the Tonto National Forest in the heart of central Arizona, the Salt River meanders through a breathtaking desert landscape that encompasses rugged mountains, massive sandstone monoliths and Sonoran desert habitat of saguaro cacti and wildflowers. Though the Salt is often made into a longer trip, the 42-mile section that travels through White Rock, Granite and Jumpoff Canyons makes a gorgeous three-day excursion during the spring. Hells Canyon, a vast canyon that travels through the rumpled high-desert landscape between Idaho and Oregon, is home to the Snake River and is North America’s deepest river gorge. 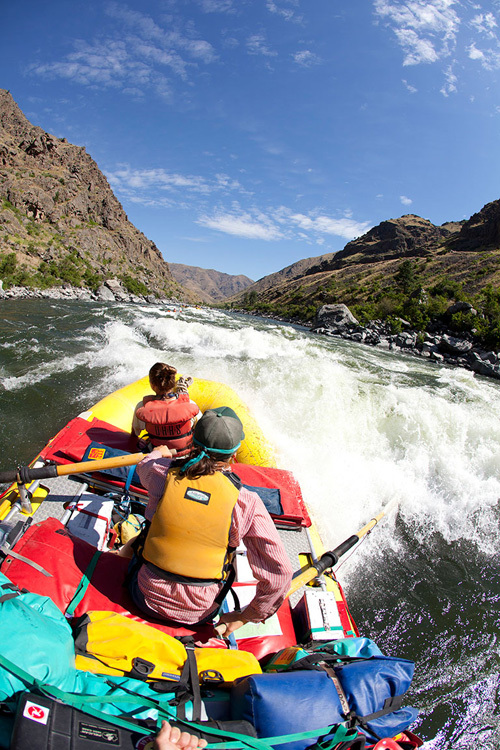 In the 34-mile section from the Hells Canyon Dam to Pittsburg Landing you will find immense mountain wilderness, deep swimming holes and some of the largest whitewater in the Northwest — including notoriously difficult Class III-IV rapids Wild Sheep and Granite Creek. 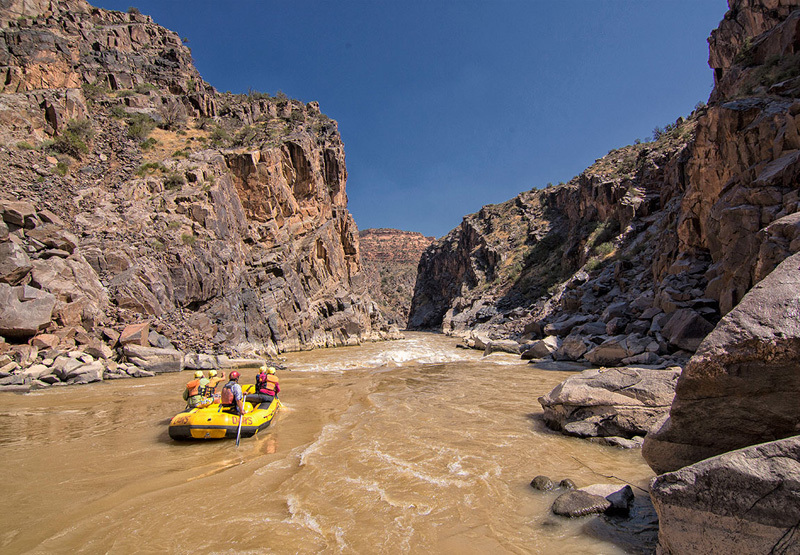 The San Juan is an iconic Southwest desert river whose gentle water and plentiful side hikes make a perfect option for families or those looking for mellower floats. 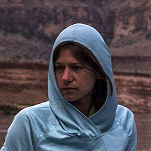 The 27-mile section of the river from Sand Island to Mexican Hat offers a trove of desert treasures: soaring sandstone walls, cool grottos, goosenecks that meander through a maze of redrock, prehistoric cliff dwellings, spacious campsites and petroglyph panels galore.